Cherry Mobile currently only has around 30 games available for download from its app store. But that will soon change. Cherry Mobile, a Pinoy mobile phone and electronics company, has announced its plan of filling its AppShop with 100 percent Pinoy Games. Yes, all Filipino games from Filipino developers, GamesinAsia reports. From 40 registered developers, Cherry Mobile hopes to increase that number by offering profit cuts for early bird registrants. Pinoy game developers who registered from January 1 to June 30 this year will have a full return (100 percent) on net revenue or the amount left after the telcos take their slice of the profit pie. Registrants from July 1 to December 31, 2014 will have 80 percent return on net revenue, while game developers who will sign up from January 1, 2015 onwards will receive 60 percent return on net revenue. Mobile billing. This seems to be the biggest selling point from a consumer’s point of view. Cherry Mobile touts that with mobile billing, users can easily and quickly pay for a game download. For developers, easy and quick payments mean more sales and income. Socially optimized and integrated. This feature will allow users to personalize their gaming experience. Most likely, games can be connected to social media accounts for easy sharing with friends and a user’s entire network of contacts. For developers, this means more exposure and even a chance of their game being an overnight success if it goes viral. Cross-platform storefront. Cherry Mobile also offers game developers support for both web and mobile-based storefront. This means users can purchase games directly in their smartphones or tablets as well as on a PC. According to a report by NewZoo, a Dutch-based research firm that specializes on data and analysis relating to the game industry, Asia is the biggest market in the world when it comes to mobile gaming, with the region accounting for 48 percent of all global revenue. But it doesn’t end there. The report also added that Asia will see its mobile game revenue grow annually by 2.73 percent until 2016. 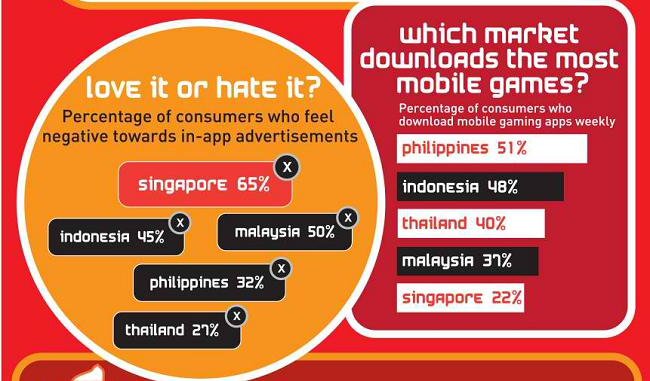 In a separate survey conducted by Trend Micro, it was found that 53 percent of respondents from the Philippines play games on a mobile device every day and about the same percentage also download games every week. 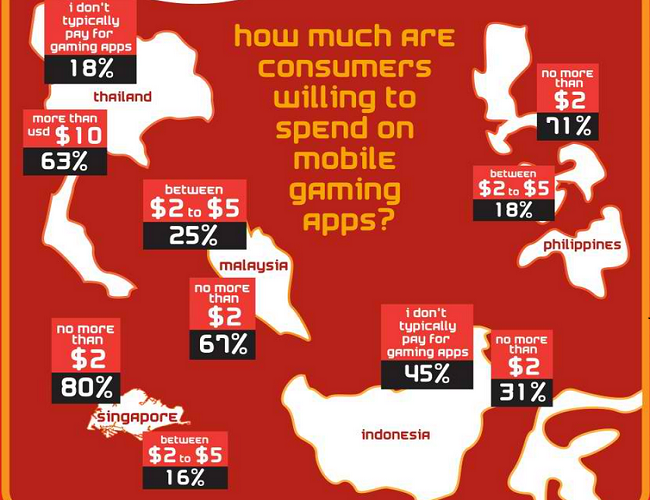 However, 71 percent of respondents from the country are only spending $2 or less on a game. 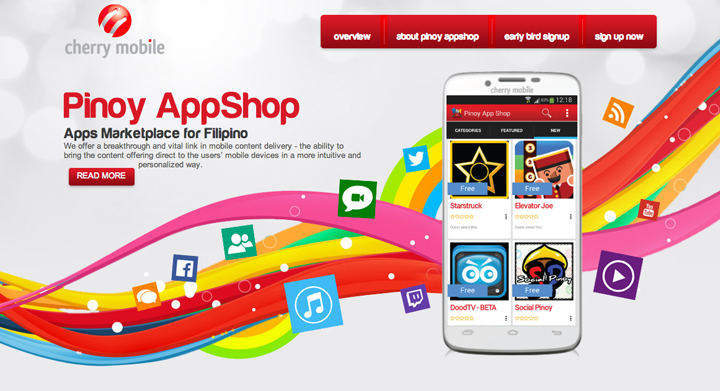 Will Pinoy’s make the Cherry Mobile AppShop a success? We’ll soon find out. 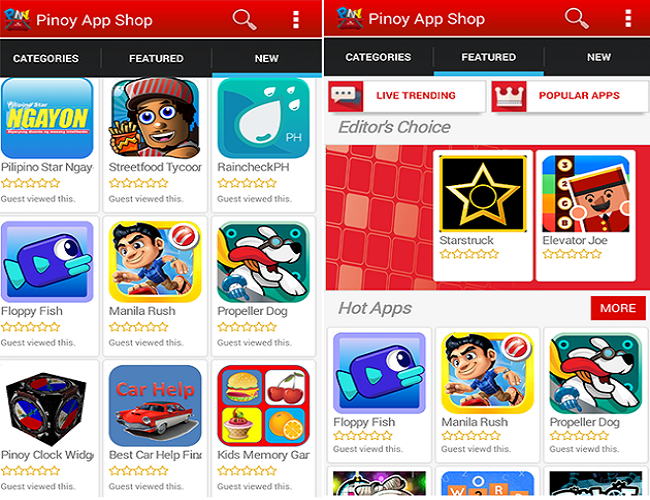 Meanwhile, the Pinoy AppShop can be downloaded by non-Cherry Mobile users here.